This day would not have been possible without the help of the following vendors. 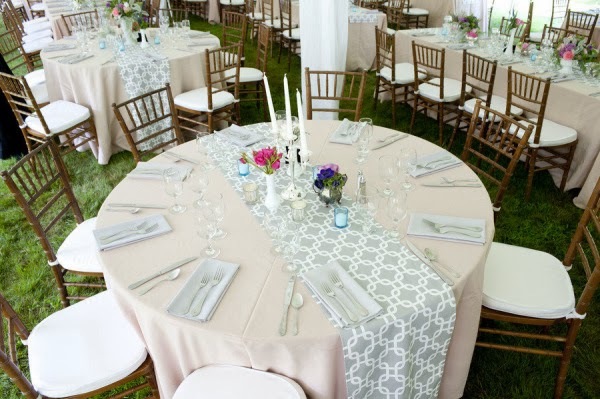 Thank you to you all again for helping us create a beautiful and meaningful event! 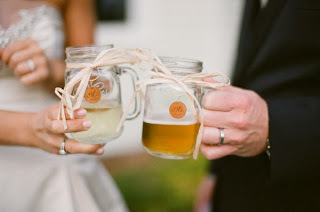 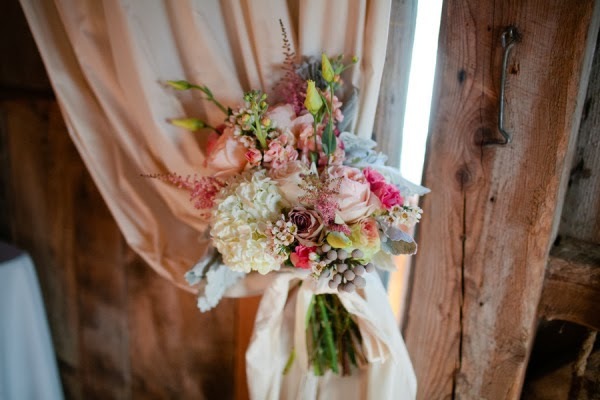 Alicia and Jamie who fell in love with Maine on just a weekend visit, chose to celebrate their wedding at The Barn on Walnut Hill, which provided just the rustic charm they were looking for. The fun was really in adding glamour and sophistication to the rustic backdrop, while mixing feminine and masculine style elements. 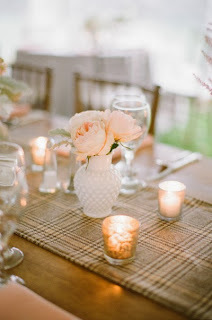 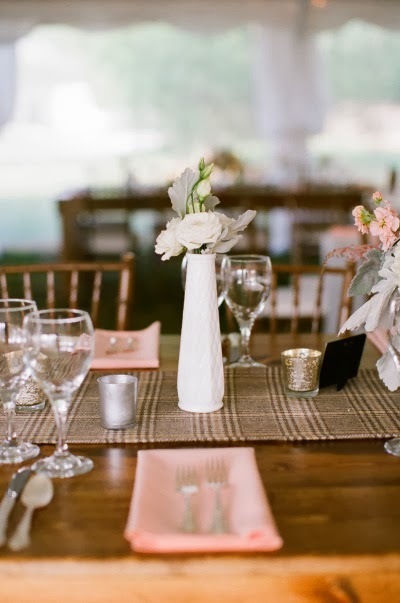 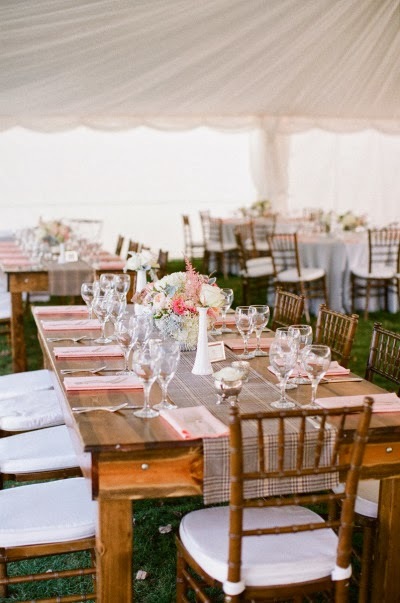 Details included custom wool plaid table runners made in house, to go over wooden farm tables, and a white lace runner over grey linens on the other half of the round tables. 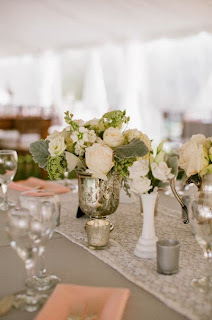 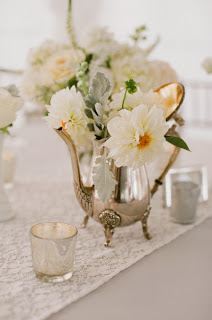 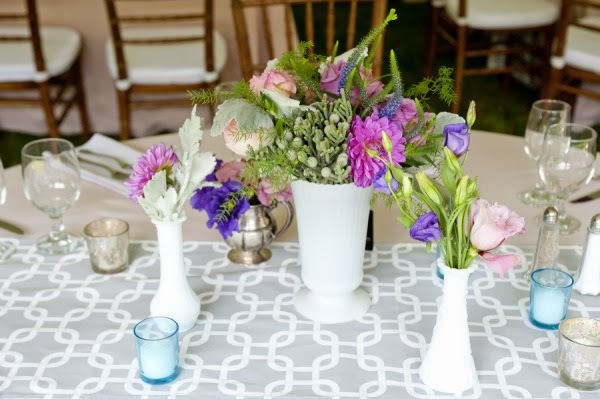 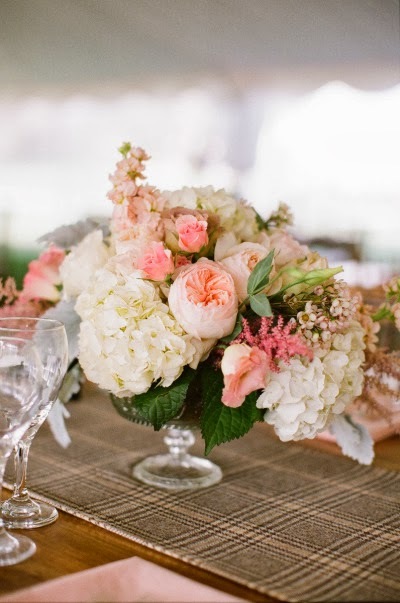 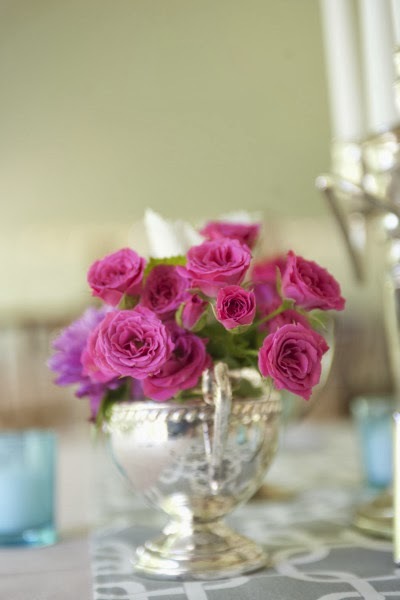 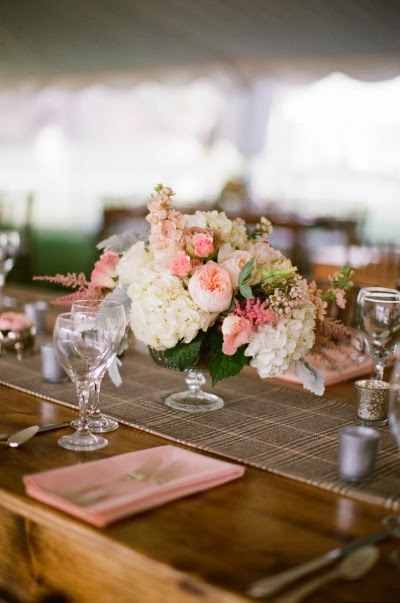 Our collection of vintage silver mercury and milk glass provided vessels for the floral arrangements and candles. The late October date in Maine gave us temperatures that required us to have the ceremony inside the barn. 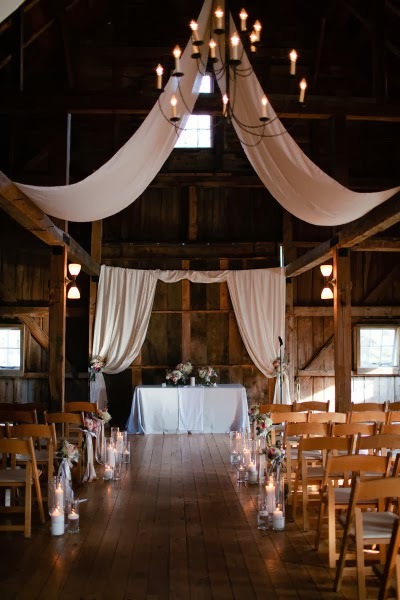 We draped muslin fabric in the interior of the barn ceiling which created a cozy feel. 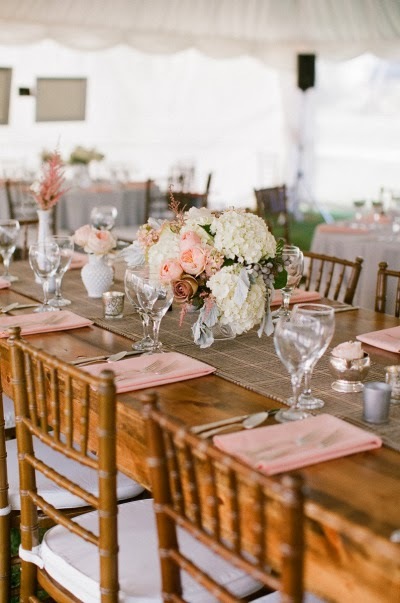 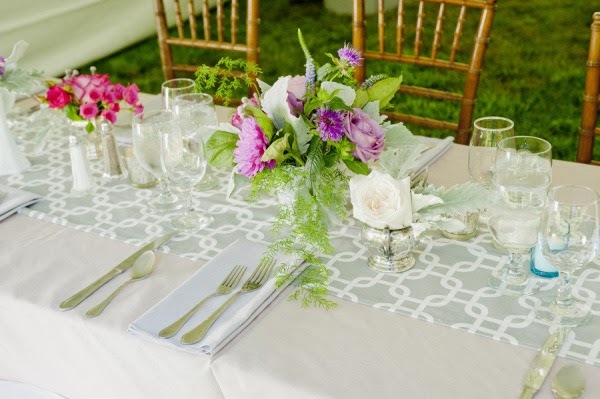 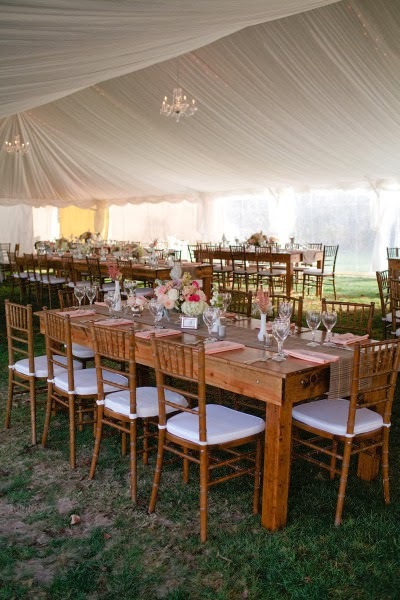 The dinner was held in a lovely tent, adorned with a fabric ceiling and crystal chandeliers. 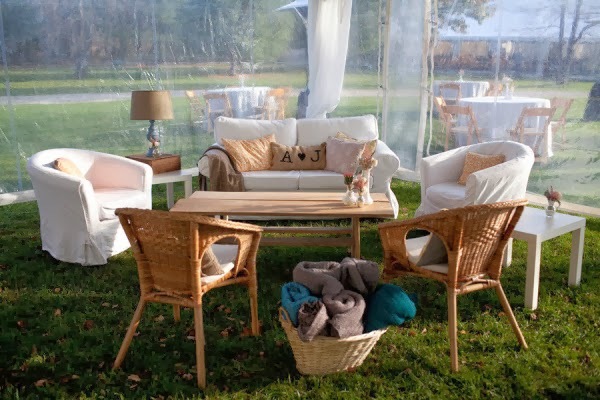 There was a beautiful candle lighting ceremony where all of the guests lit a candle from the others' and in a matter of minutes the whole barn was aglow with the 150 candles of the entire group-beautiful. 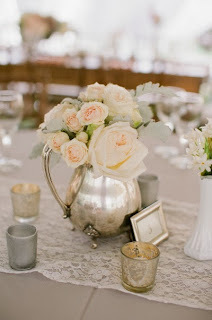 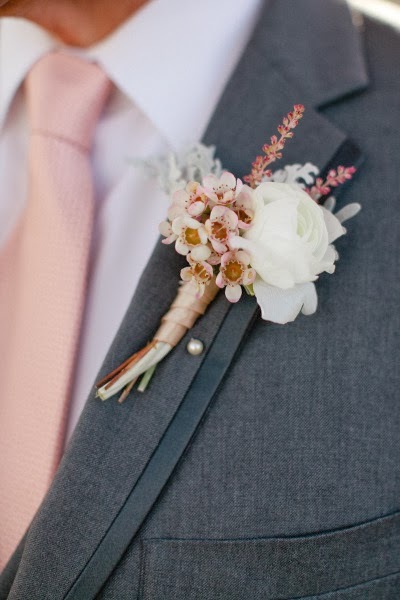 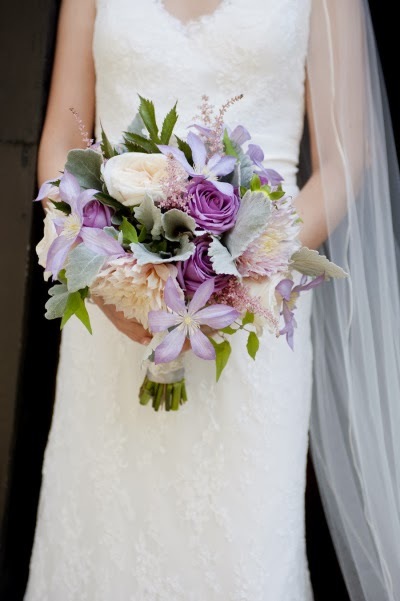 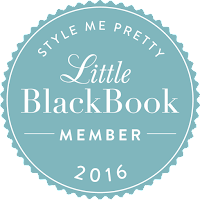 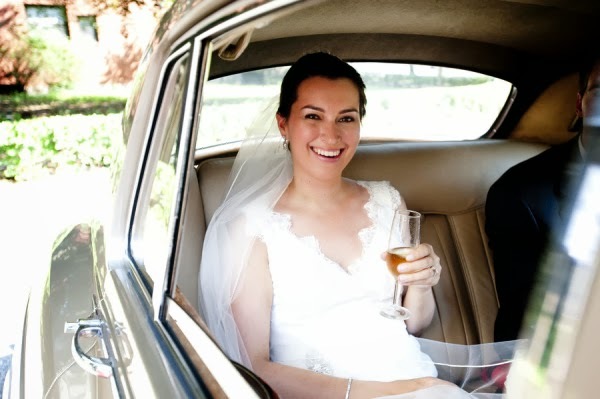 Please visit Style Me Pretty to see the lovely feature on this wedding there! A big thank you to the talented team who helped us create this gorgeous event!